As a young scientist in Africa, Allan Savory helped set aside national parks. His organization removed indigenous “hunting, drum-beating people” to protect animals. Newly burgeoning herds of elephants were then identified as causing desertification by overgrazing. Savory theorized as much in a paper and sent it to his peers for review. Other scientists corroborated the report, and the government killed 40,000 elephants. Instead of improving, desertification worsened. Savory opens his recent TED talk with this story, assuming responsibility for an awful mistake. But, he says, the experience taught him a lesson, “One good thing did come out of it. It made me absolutely determined to devote my life to finding solutions.” I had to rewind the video the first time I heard that. According to his account, this was a man already devoted to finding solutions, and those solutions, implemented on a grand scale, failed just as grandly. That experience might imbue some with a severe and undying sense of humility in the face of nature’s grandeur and complexity. Not so, Allan Savory. Savory says his favored solution—holistic management and planned grazing—is the right solution and should be implemented on an even grander, global scale. “I can think of almost nothing that offers more hope for our planet, for your children, and their children, and all of humanity.” Queue the standing ovation. Holistic management goes against the grain. Common wisdom would have it that desertification, or the human degradation of once verdant grasslands, can be caused by overgrazing of large herds of livestock. But that common wisdom underpinned Savory’s mistake with the elephants, and therefore he now believes the opposite is true—if properly managed. Savory says Earth’s grasslands evolved with large herding creatures feeding, defecating, and moving to greener pastures before overgrazing. The herd’s passage assured good soil coverage, provided manure, and grasslands evolved to depend on it—not unlike how many ecosystems counterintuitively depend on fire to regenerate. Overgrazing is bad, but no grazing at all is worse. To reverse desertification, we need to introduce large livestock herds and move them according to nature’s rhythms. 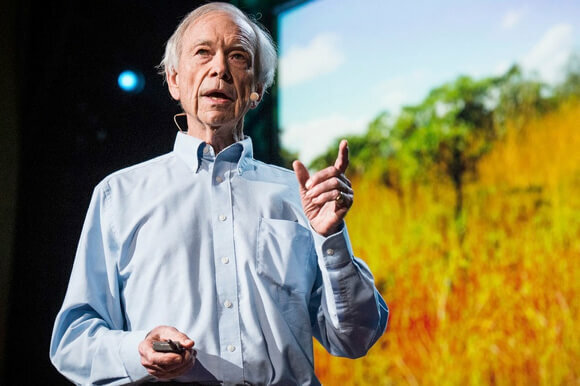 Holistic management, according to Savory, addresses “all of nature’s complexity and our social, enviromental, [and] economic complexity.” Restoring half of the Earth’s grasslands will sequester CO2 by the ton and return atmospheric carbon to pre-industrial levels, while all that new milk and meat will feed billions. I’m not a biologist, but I pay attention to what people say and how they say it. Anyone claiming they’ve solved all of nature’s complexity and social and economic complexity to boot—well, he’d be the first since God. But what about the science? What do Savory’s peers think of his claims? The talk sparked a fierce online debate. Enthusiastically in favor were TED’s curator Chris Anderson, Michael Pollan, and Discover Magazine. One blogger called for a Nobel Prize, already. And maybe that’s the problem. Savory attributes the failures associated with holistic management, and there have been a number, to improper administration, not the method itself. How useful can such a method be on large scales if it’s so difficult to implement—perhaps it doesn’t address all those social complexities after all? As for the theory itself, Ralph Maughan notes, that although some grasslands evolved with big grazers—particularly in Savory’s own Africa—not all grasslands did. In North America, many grasses evolved with small grazers like rabbits, mice, tortoises, and insects. And none evolved with large herds of cattle and other livestock. 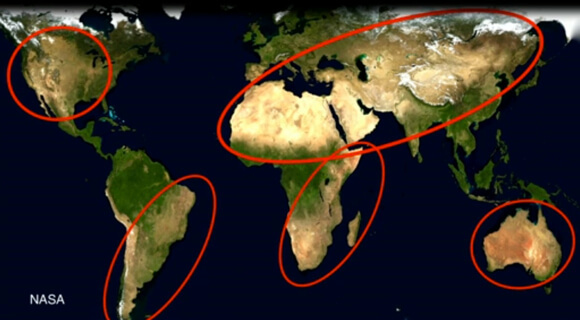 Further, Savory circles all the world’s arid areas on a satellite image—2/3 of the Earth’s land mass, he estimates—and says they are desertifying. But it doesn’t follow that because a region is desert, it’s desertifying. Most of Earth’s deserts are naturally occurring and some are even cyclical. Maughan notes the Sahara turned from desert to grassland and back again twice since the last Ice Age—without human intervention or the presence of large grazers. And while deserts may appear devoid of plant life, the algal crusts Savory calls “the cancer of desertification” do sequester carbon and prevent erosion. Although Savory may be onto something great with holistic management, many of his peers remain unconvinced. Like other scientists, he could continue rigorously testing his methods, building a stronger case, and winning over naysayers. Instead, he seems to be working harder on the marketing than the method. Savory understands the world is complex and rendered in countless shades of grey. Yet he also believes himself and others capable of understanding the complexity, selling holistic management as a panacea. When it comes to such broad claims, skepticism is warranted. Silver bullet solutions are rare, silver bullet sales commonplace.